Why should jazz have all the fun? Pop and indie artists too seldom throw their creative weight into the art of interpretation. But the sometimes dormant tradition is alive and well in a new revival of songs from The Point!, Harry Nilsson’s 1971 cult-classic film and soundtrack, featuring new arrangements by Andrew Bird, Martha Wainwright, DeVotchKa, Nada Surf, Nathaniel Rateliff, and other contemporary artists. In its original form, The Point! was a woolly animated TV-movie that told the story of Oblio, the only boy in the Pointed Village that did not have a point on top of his head. The fanciful tale of nonconformity and ultimate redemption in the Village speaks for kids and all imaginative souls who feel adrift in an overly rigid world populated by squares, straights, and other things defined by their points and sharp edges. 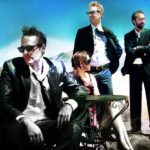 Pop vets Nada Surf, closest to Nilsson genetically among the musicians, add pep and a certain Zombies-esque vocal style to the boy-and-his-dog hit “Me and My Arrow”. 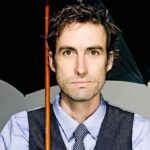 Andrew Bird, the walking orchestra, sinks his technicolor skills into “Think About Your Troubles”, which navigates the cyclical magic of the way things work on earth. Gypsy-cowboys DeVotchka gallop The Point!’s expository tune “Everything’s Got ‘Em” through a string-laden carnival. 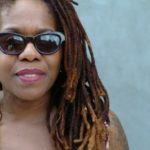 SexMob backs high-voltage vocalist Catherine Russell’s gospel soulfulness with their jazzed-up, freaked-out “Poli High”. 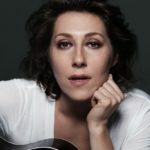 Martha Wainwright duets with Jim Campilongo’s twangy guitar on “P.O.V. 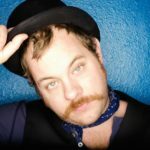 Waltz,” Denver’s rising-star troubadour Nathaniel Rateliff amps up the charming lullabye “Are You Sleeping?” and in one of the album’s most stirring performances, Dawn Landes imparts a dusty romanticism to “Lifeline”, a gentle call for help by the lead character Oblio. In the hands of these artists, Nilsson’s lovingly goofy and quintessentially ’70s songs emerge in new garb while retaining every ounce of imagination and wisdom of the originals. The artists all came together on the album to benefit 826NYC, the nonprofit group that provides creative-writing workshops and tutoring to kids aged 6 – 18. 826NYC will receive all proceeds from the album. © 2019 Amano Recordings All Rights Reserved.